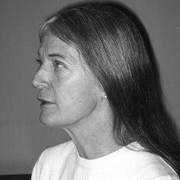 Gillian Tindall FRSL (born 4 May 1938) is a British writer and historian. Among her best-known works are the books City of Gold: Biography of Bombay and Celestine: Voices from a French Village. Her novel Fly Away Home won the Somerset Maugham Award in 1972. From the 1960s to the early 1990s, Tindall also worked as a journalist, writing stories for The Guardian, The Evening Standard, The Times, and The Independent – and for many years she was a regular guest on the BBC Radio 3 arts discussion programme, Critics' Forum. Since 1963 she has lived in Kentish Town, North London. Gillian Tindall is currently considered a "single author." If one or more works are by a distinct, homonymous authors, go ahead and split the author. Gillian Tindall is composed of 3 names. You can examine and separate out names.